“I think that the kids coding in school is an important issue. 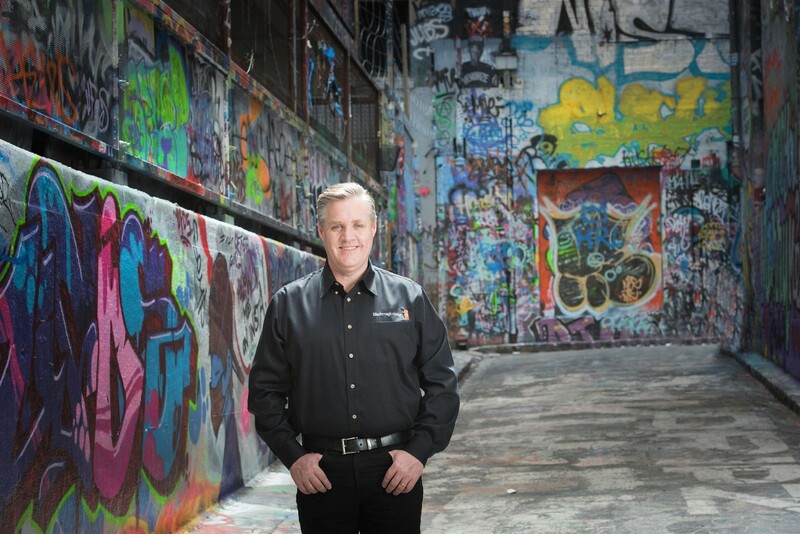 I had the pleasure to interview Grant Petty the CEO of Blackmagic Design. Blackmagic has grown to become one of the world’s leading innovators and manufacturers of creative video technology. Famous for their codecs, Blackmagic envisioned affordable high-end quality editing workstations built upon Blackmagic software and hardware. I originally worked in the television industry. While I enjoyed being part of a large creative team where my role was to be an engineer supporting creative people, what I found strange is that the television industry was not as creative as I expected it to be. Because the equipment was so expensive, it meant that the television industry was more an equipment rental industry than a creative industry. An editing system could cost over a million dollars and so it was very capital intensive. I thought this was wrong and it should be driven by creativity and not by equipment. In many ways, capital intensive industries like that are more class based than they are creative. Once an industry is all about assets and asset management, then it becomes all about conflict. It’s the same for entire economies. Creativity is more human and it’s what people actually enjoy. So what I intended to do was transform the television industry to empower creative people. People who were my friends and people who I thought should drive the industry forward with creativity. Also, I grew up in a country town with only a few thousand people. I understood the problems of a class system. People are assessed based on how much money they have and not by what they can do. Class creates poor decisions because people doing the work with the most knowledge of the task are treated as lower class people by the people with power. That’s a terrible system as it limits or even kills new ideas and methods. By producing products at consumer prices, but with high end features, I hoped to change the television industry. That’s not an easy thing to do! But we have changed the industry and it’s much more exciting now. I think one of the craziest stories is when we had one of our first products and we had to manufacture the computer circuit boards in the back of a television company in South Melbourne. I was worried about overheating the boards and then they would not function reliably because our new product had analog on it. So I decided to use a process called vapor phase soldering, where you kind of steam the circuit boards in a special fluid. It’s very much like steaming vegetables, however this fluid was about $5000 per kilogram and works at a much higher temperature. I could not afford the machine for vapor phase either, so I realized I could modify a pasta cooker to do the same job. It was a bit hard to do and at one point I filled the room with steam vapor, however we managed to get the boards to solder correctly. This meant that we could solder our new product, but we still had to rush since we only got the blank boards back from the supplier on the morning we left to go overseas to launch this new product. So we had to build the boards ourselves and then rush off to the airport and jump on an overseas flight. The show was great and we won several awards and all because of a little pasta cooker! Everything is product centric. We don’t centralize people around a hierarchy of people but instead we get everyone to connect to the product and then people in leadership positions are there to support everyone in doing that. Most companies are founded on someone wanting to be powerful. I founded this company on doing something important and to empower people, so we are different. Everything is about the product. Everything is turned into a product. The product is the CEO. Working internationally is not so difficult if the company itself is organized correctly. Even in Australia we operate in a very decentralized way where everyone is responsible for something important, and they all connect to the product. So where we have teams operating internationally, they are doing that with responsibility for the product. So a good example is the DaVinci software engineering team, which is based on Singapore. They are responsible for the DaVinci Resolve editing and color correction software, but the hardware control panels are designed and built in Port Melbourne in Australia. So the team in Australia working on that product just have to connect to the team in Singapore and then focus on the product. When everyone knows people are working together for a common product based goal, they all work together as they all help make that product much better. I am never sure what advice to give other people on business because how we do business is quite different. I think each company has its own problems and so require very different methods to solve them. The best companies are the ones with problems. Then you have something to do. You want the business to be more than what it currently is and problems show it has a future and the future should be better than what you have today. Problems are the coal that fires creativity. That makes the company hungry and it’s exciting to be in a company like that. However some advise I could give would be to try and decentralize control. Empower people doing the work to manage themselves and to create solutions to problems from the bottom up. And there should be no management, I find the word management offensive. You should have leaders who are there to support people. I always approach meetings with descriptions of problems, not commands of what people should do. Then everyone can create the solutions to those problems and use their creativity. Also, never, ever hire MBA’s as they don’t understand creativity. I have found that MBA’s receive a simplistic rule based education that’s simply not good enough for a modern interconnected world where you need every brain in your company thinking about new ways of doing things. MBA’s often go for their education because they want to move up in a class based business world. Don’t let them infect your company! They are like the Borg. No business can be lazy enough these days to be simply administered, and every business should be harnessing creativity from all its people. This also makes companies more enjoyable to work in. That’s true, however it’s also the most noticeable issue. Often people are quitting the process they are in. But people don’t see processes, they only see leaders and so they often get blamed for issues that they also don’t have any control over. Humans are basically animals. The industrial revolution is only a few hundred years old and people have only been living in cities of millions of people for a short time. Even nations are a fairly new idea and so we are in a situation where we are interconnected in highly complex systems of people, but we don’t really think in a system based way. So we blame anyone we see at the top and we don’t understand it’s often the system. You can see that in government where the bureaucracy has become so large that it becomes somewhat restrictive and dysfunctional in areas. Then the leadership is blamed because we want a single person to blame. We feel comfortable doing that because it suits our animal nature. However, often the problem is hidden within the system. I think the current problem is business culture. There is a lot of lazy old capital around that places demands on business that are all based on simplistic metrics. Metrics such as profit per square foot, gross margins, recurring revenue and inventory turns means that businesses have to meet these targets or the management gets flipped for someone who will. It does not matter what the business is or what it’s trying to do, it’s only these kinds of metrics. People even impose them on themselves. But it means that good ideas that could become revolutionary are destroyed before they get a chance. Companies then often become horrible to work for. It becomes a death spiral. I have done seven acquisitions and each one needed to be turned around. Their common problem was they could not see what needed to be done and instead just focused on metrics, even if it destroyed everything in the process. They could not even see it happening. I think the western business world has some serious problems with creativity and it’s very embedded in the way it is thinking. It took China over 100 years to sort out how they approached the world and only now are they booming because of new ways of thinking. Now the western world is in a funk and is losing its industrial base. It’s not anyone’s fault, but it’s a system of thinking that is overly rigid and does not allow creativity to be the center. That’s what democracy was all about, and people could be free within a democratic system to do innovative things. However once you interact with the business world you realize that you are no longer free. 1. Decentralize control and make sure leaders are there to support people. 2. Make sure the team is doing something to make the world a better place. 3. Never hold meetings unless you have something to work out. 4. Try and consider that everything you do should allow people to learn. 5. Protect people from psychopaths and others who just want power. I think that the kids coding in school is an important issue. It helps people think about complexity. One of the problems with pop culture is that everything is simplified. However that’s not how the world is and the biggest problems in the world are only big problems because they are often too complex to be easily solved. So this means to solve big complex problems we need people who understand and feel comfortable with systems and complex issues. I think coding helps kids think like that. I do agree with the line that if you cannot code, you cannot think. Let’s teach kids how to think. It’s the only way to evolve out of our animal state. We need to use computers, but not as they are now. We need computers that can augment our intelligence. The good news is kids are more focused on coding and it is being taught in many schools. Those kids in 20 years time will be working in a world that they feel they can change. It could be a much more exciting place. I love talking so I have l lot of thoughts on what we have done and I have had some exciting experiences. But I guess the most important life rule would be to always be learning something new. If you want to see a good life, then just watch people who are in their 70’s. You can see the 70 year olds who are doing well are still solving problems using creativity. It keeps them young of mind.